Controversial best-selling author James Rickards sits down with Hedgeye CEO Keith McCullough to discuss a number of important subjects in this wide ranging interview such as the FED, USD, the flagging economy and much more. We’re in financial war with Russia and this centers around Crimea. Russia invaded Crimea. They’ve taken it over. I think it’s now a part of Russia and nobody in the United States, whether you’re left or right or Republican or Democrat, nobody thinks that we should intervene militarily there and I don’t either and that’s not going to happen. But the US wants to appear to be doing something, so we threatened economic sanctions, which is a form of financial warfare. The problem is if these sanctions are more than mild, right now they’re extremely mild. It really amounts to saying a couple of oligarchs can’t go to the Super Bowl next year. But if the sanctions were to get more serious what would happen is Russia would begin to take sanctions with us and the financial war between Russia and the United States would begin to escalate. So what could we do? That would be more serious. Well, we could freeze the assets of Vladimir Putin’s personal assets which are held in Swiss banks or Austrian banks. We could freeze that. We could kick major banks…the two biggest Russian banks are Sberbank and VTB and Gazprombank. We could kick them out of the global currency system. Well, if we do that, I agree that would hurt Russia, but they would fight back. They would nationalize US dollar assets or freeze US corporate assets in Russia. They could dump their treasury notes, drive up US interest rates, sink our stock markets, and sink our bond market. They could use their hackers to shut down the New York Stock Exchange. So some very, very disastrous, disruptive things could happen if we allow the financial war to escalate. So first of all we are in a financial war, however I would say that it won’t go very far because the United States knows that if we push it too far, the Russians will escalate and then we’ll have disastrous outcomes. The US has a lot more to lose than Russia. You have all the talk is about imposing costs on Russia, that’s fine. But if they start imposing costs on us, the United States, we have a lot more to lose and we would lose that war as it went on. So for people who are thinking ahead and Putin, I would say is thinking three moves ahead, he knows that he could take Crimea. We’re not going to intervene militarily and we’re not even going to intervene financially because he can fight back and we would lose the financial war. But we are seeing financial war breaking out around the world. Markets key off the dollar. I understand they’re not all denominated in US dollars, but all the major fixed income markets, commodities markets, et cetera, all reference back to the US dollar directly or indirectly. So if you’re manipulating US interest rates, which the Fed is, then indirectly you’re manipulating every market in the world and therefore all the market signals we’re getting are not really good signals. They’re all the result of manipulation. So it’s not as if the Federal Reserve goes out every day and intervenes in the Australian dollar market or the South African rand. I’m not suggesting that. 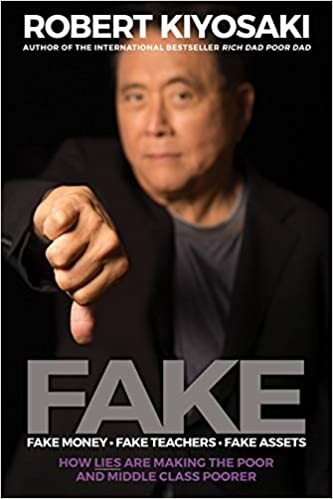 What I’m saying is that just by manipulating US interest rates, you indirectly manipulate every market in the world, because all these markets are connected and we saw very clear evidence of that last summer, the summer of 2013. What happened in May 2013, Chairman Bernanke who was the Chairman of the Federal Reserve at the time, dropped a hint that the Fed might start tapering, reducing asset purchases which is a form of monetary tightening. Well, there was a huge selloff in emerging markets, debt and currency and stock markets because there were these leveraged trades where people had borrowed in dollars and they’d gone out and bought Indian or South African or Brazilian stocks and bonds. You have to buy the currency to do that because you have to pay for it in local currency. And then as soon as the Fed hinted they were going to raise interest rates, these investors or speculators had to unwind the carriage rates, so-called. So what did they do? They dump the stocks and bonds, sold the currency, bought dollars, paid off their debt and went to the sidelines. Well, there’s an example of how just a hint, not even a policy action, it was just a hint by the Chairman of the Federal Reserve about future US interest rates caused a meltdown in emerging markets all over world. So there’s a good example of how everything’s interconnected. If you manipulate the dollar, you’re indirectly manipulating everything. So that’s how I would put it. With the ratio of paper money to gold and if the gold is about constant and the paper money keeps going up then the implied price keeps going up. So if you called me a year from now I’d have to do the math, but it might be $10,000 an ounce and that’s assuming 40% backing. But what if you had 50% backing or 75% backing? So now you’re talking about $15,000 or $20,000. The numbers just keep getting bigger and they’re not made up. They’re not numbers that I pull out of a hat to make a few headlines. These are the actual numbers you get when you do the math. I don’t think the US wants to go to a gold standard. But if they have to do it to restore confidence then you have to ask the question, “Okay if we’re going to have a new gold standard, what’s the price?” And you’ve got to get the price right because if the price is too low, it’s extremely deflationary and you don’t want deflation. That’s what happened in the Great Depression. So it’s a very simple math exercise. You just take the amount of money and divide by the amount of gold and that will tell you the price of gold in order to support the money supply. Now you have to make a couple of assumptions, there are a couple of inputs there. When you say money, in every gold standard there is some ratio of physical gold to paper money. Well, what’s your definition of money? Are you using M0, M1, or M2? Those are all very different, so you have to figure that out. The second thing you have to ask yourself is how much gold backing do you want? Is it 20%, 40%, 100%? You know in the 19th century, the Bank of England ran a successful gold standard with 20% backing. In the 20th century, the US had a successful gold standard for a while with 40% backing. The Austrian economists would say it has to be 100% because they don’t like fractional reserve banking. But whatever number you pick, you have to pick some number and stick to it. The third thing you have to ask yourself is would this just be the United States or would it be all the major economic powers in the world? I think it has to include all the major economies and the reason is, if one country such as the United States went to a gold standard and others did not, we’d have the only currency that anybody wanted. You wouldn’t want sterling or euros or yen or any other currency if you could get dollars backed by gold. But that would be also extremely deflationary because it would make all the other currencies worthless and everybody would want dollars and the dollar would be the only thing that people wanted. So taking all of that into account, if you use for example, M1 which I think is a great number, and if you did say 40%, which I think is probably reasonable. And if you included China, the ECB, and the US and then did the math I described, that number today is about $9,000 an ounce. It may have been $2,800 for the US only back in 2003, but we printed trillions of dollars since then. So the formula is the same, but the amount of paper money is much greater, therefore the implied price of gold has to be much greater. So today even if we have a reasonable gold standard that was only partly collateralized, you’re looking at $9,000 an ounce. Canada’s going to have to piggyback on the United States. Canada is in a very vulnerable position. I like the Canadian economy and I like the Canadian currency in the absence of a crisis. So in the steady state where we are right now I think Canada’s doing very well and doing a lot of things right. But if you have a global financial panic, and people have to go to some kind of gold standard, Canada is going to be in a very weak position. Because they sold a lot of the gold and not accumulated very much. So the right solution for Canada actually is to print Canadian dollars and buy gold. That way they can target the exchange rate and get gold and keep the gold all at the same time. So my advice to Canada would be to start building up your gold reserves and that would actually strengthen your currency and you could buy even more gold. I don’t think they’ll do that because to do so, they would have to be honest about the fact that the dollar’s in jeopardy and it’s important to get gold. So they may just cross their fingers and hope for the best. But if I were looking out for Canada, I would tell Canada to buy more gold. Should Investors Prepare for a Dollar Doomsday? 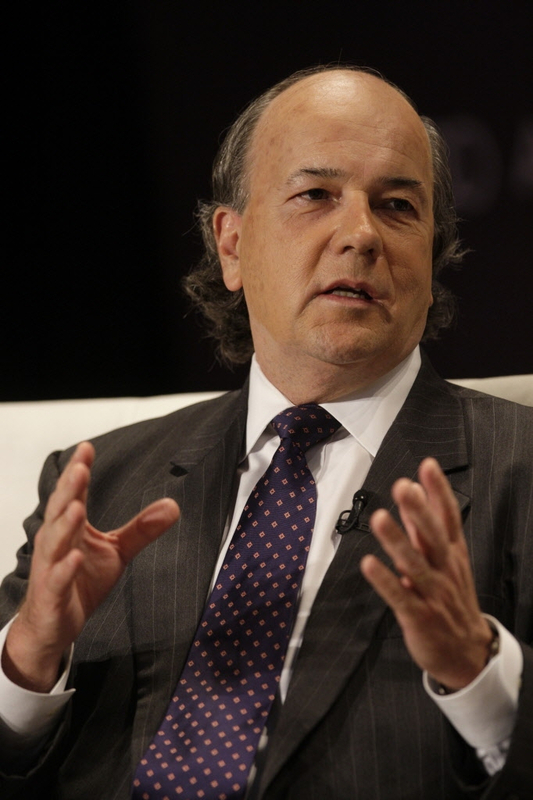 Wall St for Main St interviewed Jim Rickards, Managing Director of Tangent Capital and the author of "Currency Wars". Jim also has a new book that he published called "The Death of Money"
In this podcast, we discussed current events that occurred after Currency Wars was released. We discussed Japan economic woes and the potential for them to be the first to collapse from currency wars and we also asked Jim about financial warfare going between the East and West. Wall St for Main St also discussed High Frequency Trading and the impact it has on the market and we talked about high demand for gold from the East and what it means for the U.S. dollar. The International Monetary Fund trimmed its outlook for global economic growth in 2014. But the one place not engulfed by this gloomy outlook is the UK, which the IMF expects to grow by 2.9% in 2014. Erin brings you the details. Erin then sits down with economist and author Jim Rickards on his new book, "The Death of Money: The Coming Collapse of the International Monetary System." We ask Rickards about the threats to the US dollar in his book. It covers the IMF, emerging markets, and the Fed, among other things. Don't miss it. For today's Big Deal, Edward Harrison and Erin discuss how Apple, Google and other big tech companies allegedly fixed the high tech labor market. Check it out. 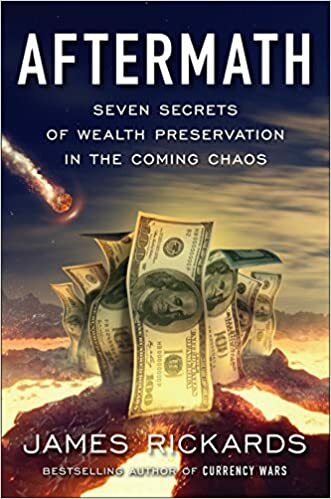 James Rickards, financier and author of the excellent cautionary best-seller Currency Wars, has recently released a follow-on book: The Death of Money: The Coming Collapse of the International Monetary System. 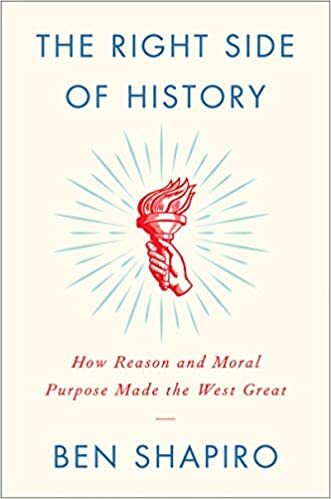 In it, Jim details how history provides plenty of precedent for the collapse that has begun amidst the major world currencies. The historical progression is predictable enough that Jim is comfortable claiming that the next economic crisis we face will be bigger than the ability of the Federal Reserve (and the other world central banks) to contain it. And that such a calamity will happen within the next five years. Jim Rickards appears on Fox Business where he discusses the ongoing currency wars and the ultimate collapse of the US dollar and the financial system.